Three candles that illuminate the darkness. Gidget L. Chirgwin-Jeppesen. May 18, 1962-November 11, 2010. My friend, chosen sister, and fellow investigator. Support your local animal shelters and humane societies. Adopt a pet, or better yet, let a pet adopt you! Have your pets spayed or neutered. It not only helps control the pet population, but it can prevent your pets from developing certain cancers and other health problems. Homo Species - Sasquatch Connection? There has been quite a bit of speculation on the possibility that Sasquatch could be a surviving species of early human. I have learned that you never say never or that something is impossible when dealing with biological organisms or nature in general. So let us now look at the facts as they currently exist. We know that, at least in North America, what we consider to be bi-pedal, non-human primates are rather large. Those allegedly seen in the Northwest have tended to be described as larger than their other counterparts across the continent. Sizes have varied depending on region, gender, and age. Descriptions of males typically make them larger and females have reportedly been seen with juveniles. Features such as skin color (light to almost black), hair color, and amount of facial hair also run the gamut. These are all similar traits and variations seen in humans. The problem is the reported sheer mass and height of these creatures. Regardless of gender, they all (adults) are reported to be massive and far larger than humans. So nothing new here for Squatchers/Bigfooters and other cryptid fans. What we now have to look at are known physical characteristics of ancient humans (Homo spp.) based on specimens that are currently available. Homo habilis (Handy Man) lived in Eastern and Southern Africa from 2.4 to 1.4 million years ago. The average height for H. habilis was 3' 4" to 4' 5" (100-135 cm) and estimated weight was about 70 pounds (32 kg). It would have taken a major feat of evolution for Handy Man to have become Sasquatch. Homo floresiensis (The Hobbit) lived in Asia (Indonesia) around 95,000 to 17,000 years ago. The only data are on a female with an estimated height of 3' 6" (106 cm) and an estimated weight of 66 pounds (30 kg). While geographically closer to North America than H. habilis and more recent on the timeline, the Hobbit would still have needed an evolutionary miracle to have become Sasquatch. Homo erectus (Upright Man- the first known early human to have similar physical characteristics to modern humans) lived in Northern, Southern, and Eastern Africa, Europe, as well as Asia (Dmanisi, Republic of Georgia, China, Indonesia) about 1.89 million to 143,000 years ago. The average height for H. erectus was 4' 9" to 6' 1" (145-185 cm) and an average weight of 88-150 pounds (40-68 kg). Fossil remains of this species indicate a wide range and variation in height and weight but give no indication of gender. What is interesting is that the fossils found in Africa were larger than their Asian counterparts. H. erectus was geographically close to North America and was one of the largest of the ancient humans. Homo heidelbergensis (Heidelberg Man) lived in Europe, Eastern and Southern Africa, and potentially China about 700,000 to 200,000 years ago. The average height of H. heidelbergensis was 5' 9" (175 cm) for males and 5' 2" (157 cm) for females with weights averaging 136 pounds (62 kg) for males and 112 pounds (51 kg) for females. Again, one of the larger ancient humans with close geographical locations to North America. Homo neanderthalensis (Neanderthal) is the closest modern human relative and lived in Europe and Central Asia from 200,000 to 28,000 years ago. The average height of Neanderthals was 5' 5" (164 cm) for males and 5' 1" (155 cm) for females with average weight of 143 pounds (65 kg) for males and 119 pounds (54 kg) for females. H. neanderthalensis was the mid-size model of early humans and was certainly geographically positioned close to North America. Homo rudolfensis is a wildcard in the evolution of early humans. There is very little known about this species and scientists are unsure if it should be in the genus of Homo or should be classified as an Australopithecine. H. rudolfensis was originally catagorized as Homo habilis but the face, brain case, molar and premolar teeth are much larger. Homo rudolfensis lived in Eastern Africa 1.9 to 1.8 million years ago. We do not know the height and weight of this species due to lack of fossil evidence. So, having considered the evolution of early humans, would it be possible for any of them to be the elusive Sasquatch? I am completely open to any evidence, pro or con. DNA analyses show that Sasquatch may be the mid-way point between chimpanzees and humans. This has given rise to the idea that Sasquatch is a hybrid species with maternal human DNA and paternal DNA from some other early/sub human or primate source. This has led to claims that this unknown DNA was from Homo erectus or Homo heidelbergensis. Because DNA degrades over time, sequencing from many of the earlier humans has been unsuccessful so there is no conclusive evidence at this time. There are some similarities between these early humans and Sasquatch. H. erectus still had a mid-tarsal break and a sagittal crest around 300,000 years ago. Early humans also had larger and more pronounced brow ridges and other facial features, just as Sasquatch is reported to have. There are also variations in overall size in early humans, modern humans, and Sasquatch (as well as other Sasquatch "cousins"). And one other thing to consider as far as variations within species- there is always the possibility of the extreme in gene expression or mutations. This explains why incidents of dwarfism and gigantism occur (and to qualify this, yes there are also diseases/conditions which can cause these as well) within species, populations, or even families and could be a possible reason for the overall size and shear mass of Sasquatch or the smaller and slighter build of a few of its cousins around the world. We are closer than ever before in solving this mystery and yet still so far away. The Third Annual Creature Weekend takes place May 16-18, 2014 at Salt Fork State Park Lodge and Conference Center in Cambridge, Ohio. Creature Weekend is Ohio's premier Cryptozoology Conference. Speakers this year will be: John Mionczynski, Dr. Jeff Meldrum, Bill Munns, Tim Stover, and Doug Waller. There will be a whole host of topics, presentations, and activities covering mysterious cryptids from all over the world. Ticket Prices are discounted if purchased online. Jeremy Wade at Lake Champlain? Jeremy Wade of Animal Planet's River Monsters was seen at Lake Champlain. Cryptid Chronicles blogged about it back in June of 2012. Could Jeremy be preparing to search for Champ or was he just on holiday? 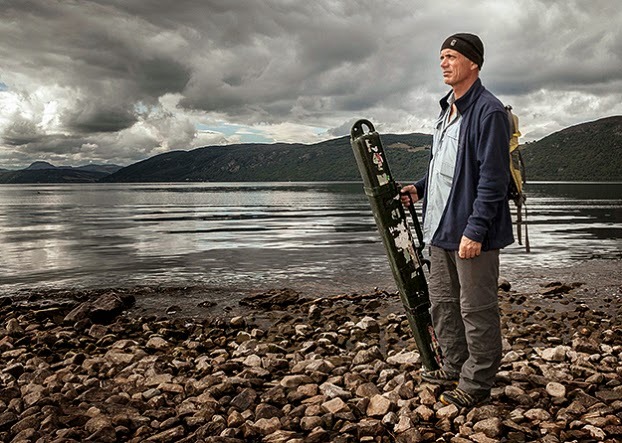 After all, he traveled to Scotland in search of Nessie for last season's finale and most watched River Monsters episode ever "Legend of Loch Ness." We will be waiting to see when and if a Champ episode airs on River Monsters. APCR and Sasquatch Watch of Virginia had the 2013 Expedition in September. It was a 4 day expedition that took place at one of our remote wilderness hot spots in Virginia. Here is the Sasquatch Watch Radio Show episode where I discuss the expedition with SWVA Founder and Director Billy Willard and Creature Seeker. As an added bonus, Creature Seeker shares details of his Mothman Festival trek with the audience. Our thoughts and prayers go out to the Hawes Family. Our thoughts and prayers go out to the folks in Oklahoma. Please help or donate if you can. And remember, there are also many pets and other animals that have been injured and displaced due to this tragic event. The last hours of fall are waning and what has become the "official" first day of winter is upon us. 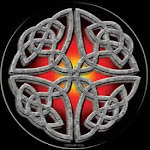 The Winter Solstice (sometimes called Mid-Winter or Yule) will arrive in just a few hours. In ancient times, this important day marked the half-way point of the winter and brought with it the promise of the lengthening of daylight hours and the time of planting. It is a celebration of surviving the harsh winter, letting go of the old, and welcoming the new. I have plenty of snow on the ground again this year- perfect for the holiday season. Tonight the heavens will put on a rare show that will create unbelievable beauty on the white, fluffy drifts that are visible across my fields. I am speaking, of course, of the total eclipse of the full moon tonight. The moon will darken to a coppery red and cast its light across the snow in an unforgettable show of nature's brilliance. What an event on the Winter Solstice! Here is the NASA timeline of the eclipse and all times given are for the Eastern Time Zone. It starts on December 21, 2010 at 1:33 am and totality is at 2:41 am. The best view will be at 3:17 am.